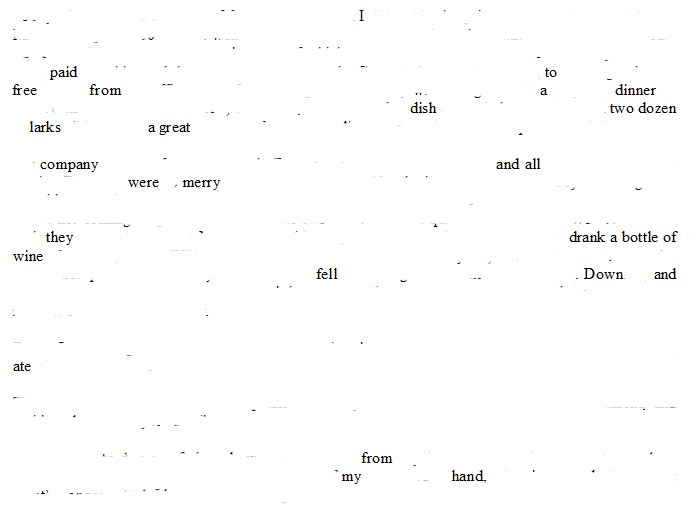 Erasure poem derived from The Diary of Samuel Pepys, Thursday 26 January 1659/60. The first two lines are particularly inspired, I think. The four-and-twenty blackbirds come to mind. Thanks. Yeah, I guess that was inevitable. But I was just so shocked to learn that eating larks was commonplace in Pepys’ day.